Lice are small parasites that live on the scalp of humans they usually feed on the blood of their host. Getting infected by lice is a common problem especially in children. One can get infected through contact with an infected person at school, office, sleepovers or get together, sharing clothes with them, using their grooming tools such as combs and hair brushes, laying on the same bed or sharing bedding. Any of the above-mentioned reasons may lead to lice infestation. The main symptoms of lice infestation are itchy scalp and red bumps found here and there all over the scalp. Lice regenerate very fast and thus it can be really difficult to get rid of them. But thankfully there are several home remedies which can help you get rid of these tiny blood sucking monsters. 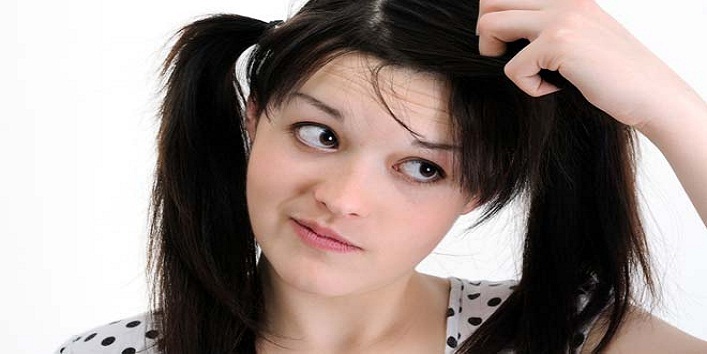 Below we have mentioned top 8 home remedies to get rid of lice effectively. 1. 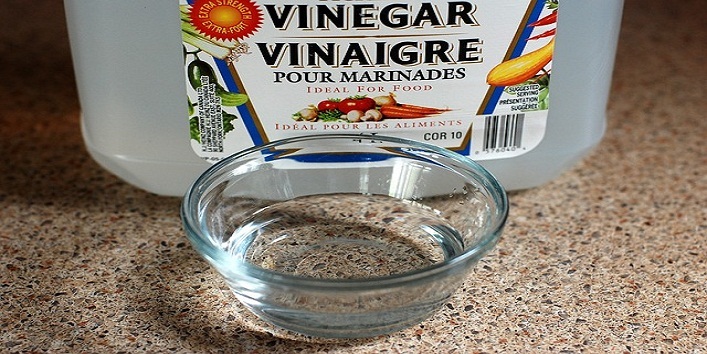 Vinegar- The acetic acid in the vinegar helps in killing the lice and also dissolves the gum which the lice use for sticking their nits to the hair shaft. This helps in getting rid of the lice as well as the nits. Mix equal parts of vinegar and coconut oil. 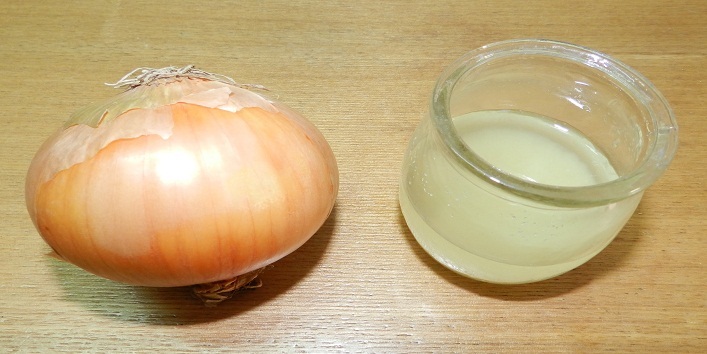 Apply this vinegar and oil mix onto your scalp and leave it overnight. Next day wash your hair with shampoo and use a fine-toothed comb to get rid of lice and nits. 2. Onion juice- Onions are high in Sulphur content which in turn help in killing them. Depending on the length of your hair take 3-4 peeled onions. Grind them in a mixer to make a fine paste. Pass this mix through a sieve to extract all the juice from the paste. Now to this juice mix equal parts of mustard or coconut oil. Use a cotton ball to apply this concoction onto your scalp and massage it well. Leave it on overnight and shampoo your hair the next morning. Comb your wet hair with a fine-toothed comb to get rid of the lice. 3. Lemons- Lemons are very acidic in nature due to the presence of citric acid. This acidic nature of lemons helps in getting rid of the lice. Depending on the length of your hair squeeze out the juice of 2-3 lemons and combine it with an equal amount of mustard oil. Massage this mix onto your scalp and leave it overnight. Wash your hair the next day with your regular shampoo. Use a fine toothed comb to comb through your wet hair as this will help you get rid of the lice and the nits. 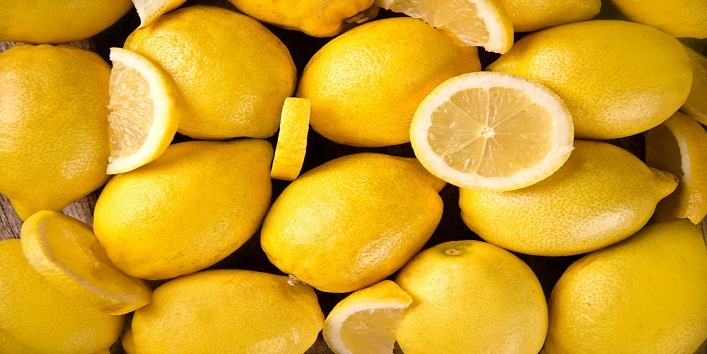 Another way of using lemons to get rid of lice is by applying lemon juice directly onto your scalp. Leave the juice on for 30 minutes but not more than that as it can bleach your hair. Once the time has lapsed use 1 cup white vinegar to rinse your hair and then give your hair a final wash with lukewarm water. Comb your wet hair with a lice comb to get rid of the lice. Another effective way to use lemon juice for getting rid of lice is by combining it with minced garlic. Squeeze out enough juice of lime to cover your entire scalp and add 3 cloves of minced garlic to this juice. Mix it well. Massage this paste well onto scalp and hair. Cover your head with a shower cap and let it sit for 30-40 minutes. After the time lapse, shampoo your hair as you normally would. Comb through your hair while they are still wet to remove the lice and nits. 4. 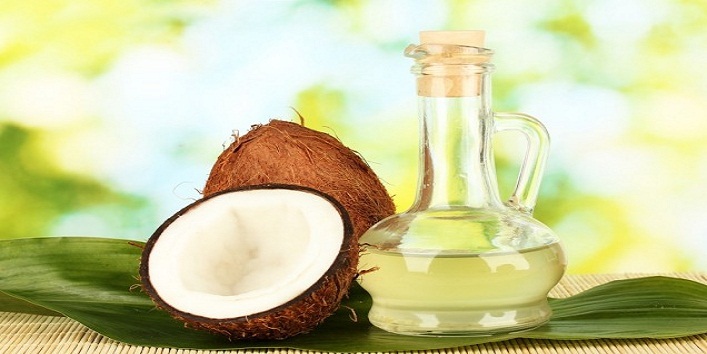 Coconut Oil- The coconut oil does not kill nits or the lice but restricts their movement. When left overnight covered with a shower cap it can suffocate the lice and kill them. Warm up some oil on the stovetop or in the microwave. To this oil add crushed camphor and let it dissolve. Massage this warm oil onto your scalp and leave it on overnight. Next morning shampoo your hair as you normally would and use a lice comb you comb through your hair. This will get rid of the lice and nits. 5. 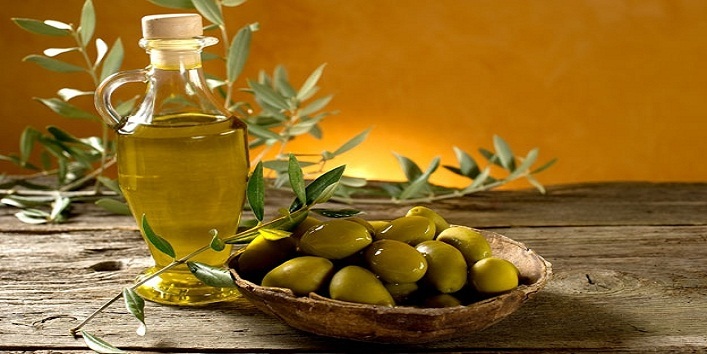 Olive oil- Olive oil does not have any lice killing properties but when left overnight can suffocate the lice resulting in killing them. Leave the oil overnight on your head and cover it with a shower cap. Shampoo your hair the next morning. Comb your hair with a fine-toothed comb remove the lice and nits. 6. 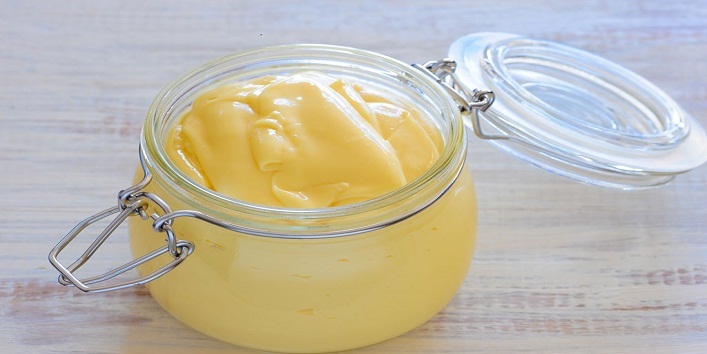 Mayonnaise- Just like olive oil, mayonnaise is also very thick in consistency, which helps in suffocating the lice and thus making their grip loose so that you can get rid of them easily. Apply a good amount of mayonnaise on your scalp and hair. Leave it on overnight and shampoo your hair the next day. While your hair is still wet comb through your hair with a fine-toothed comb to get rid of the lice and nits. 7. Tea tree oil- Tea tree oil is very well known for its anti-microbial, anti-fungal and anti-inflammatory, antiviral and antibacterial properties. Though it is hard to conclude the original reason behind this mechanism but tea tree oil works really well in killing lice and nits. It is also believed that the tea tree oil also has lice repelling properties which make sure that the lice do not re-occur. In order to use tea tree oil for getting rid of lice, you need to mix the oil with a carrier oil as the oil itself is very concentrated. Combine the tea tree oil and the carrier oil in the ratio of 1:3. Massage this oil into your scalp and leave it on for at least 40 minutes before you wash your hair. Once out of the shower use a fine toothed comb to comb through your hair in order to get rid of the lice. 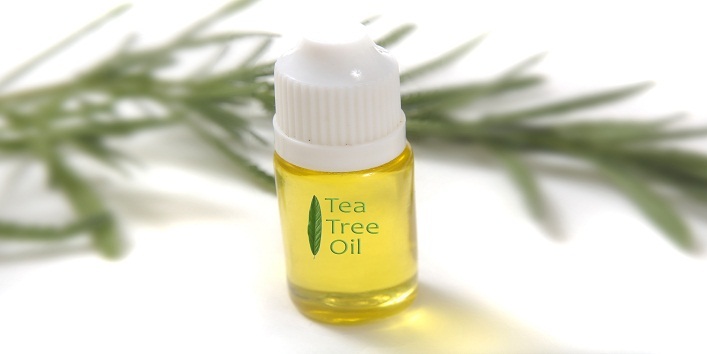 Another easy way to use tea tree oil is to add the oil to your shampoo. You can either add tea tree oil to the bottle of your shampoo or you can also add few drops of tea tree oil on your wet hair mixed with the shampoo. Use this method regularly and soon you would get rid of the lice and nits. 8. 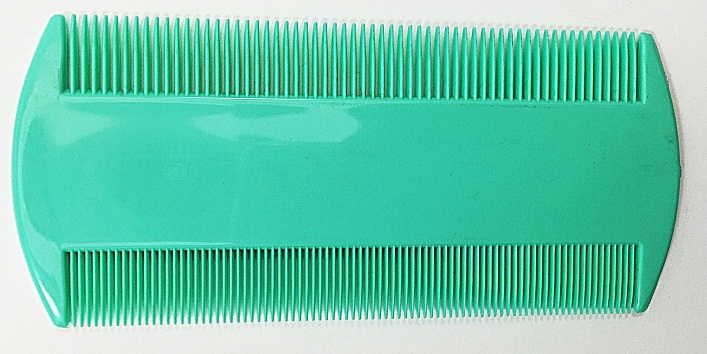 Lice comb- This one is one of the most effective ways. Use a lice comb to comb out the lice and nits from your hair. These combs are specially meant for this purpose only and are readily available in the market. It doesn’t matter which remedy you are trying out, it is important that you continue using them on a weekly basis for at least two months without fail. This will make sure that no lice or nits are left in your head. One thing that you must do with all the treatments is to cover your hair with a shower cap post application. This way the oxygen supply will get cut out and only a limited amount of air will get circulated in your head. This way the lice will get suffocated and can be easily removed afterwards. Lice infestation may occur with the transfer of lice from the through the contact of head (while hugging, sleeping or slight touching), by sharing combs or hair brushes, through towels or in similar ways. For this reason, it is important that you should not share such personal items. When one person of a family has got infested with lice the members of the family should also check and get themselves treated for the same if the infestation has been passed on. Ingredients such as mustard oil, mayonnaise, etc. may leave a residue in your hair as these are very difficult to get removed from your hair. One of the easiest ways of getting rid of this residue is by adding 2 tsp of dish washing soap with your shampoo and then washing your hair with this. Another important tip is to wash all the utensils and combs thoroughly after using them. Also, avoid sharing them with others.